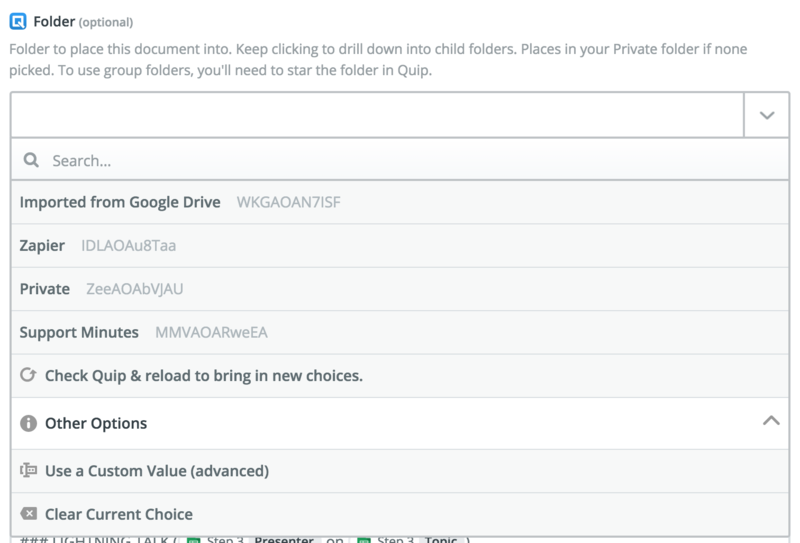 What Quip Triggers and Actions are Supported? 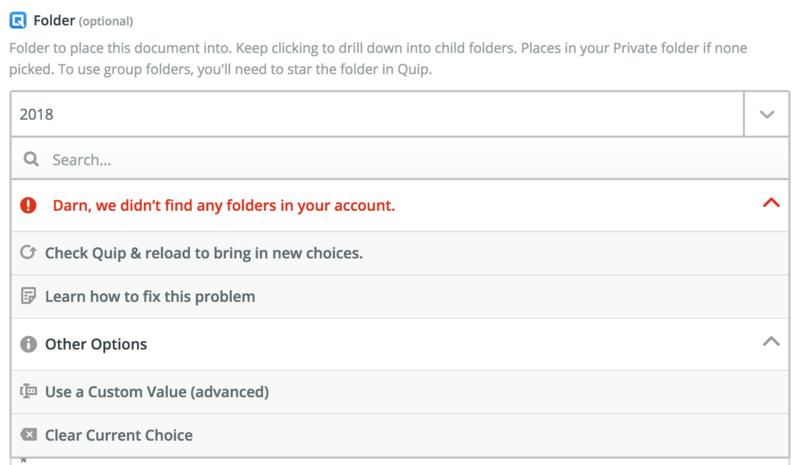 New Folder - Triggers when a new folder is added directly to a specific folder (but not its subfolders). 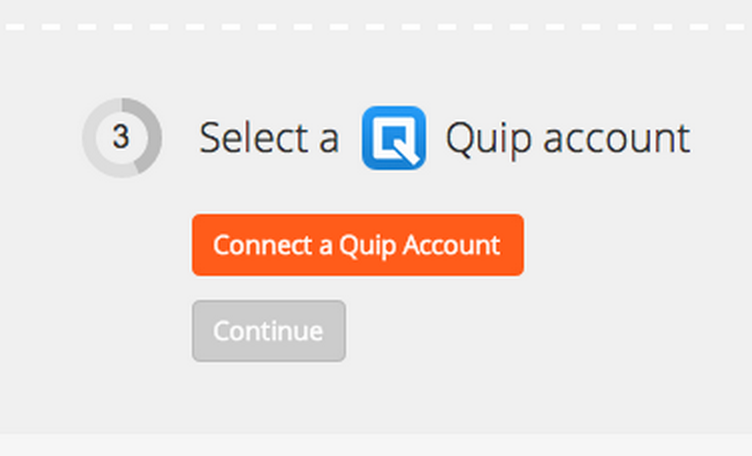 Send Message - Send a message to a Quip thread. Create Document - Creates a new document. Add Item to List - This action will add a new item to a Quip list. Add Row to Spreadsheet - This action will add a row to a Quip spreadsheet. 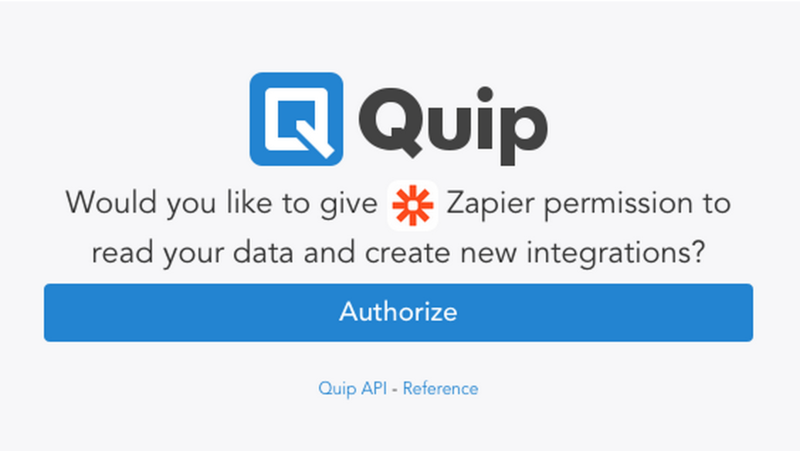 After authorizing, you'll get sent back to Zapier where you now have your Quip account connected!